Cleansing the bloodline before conception is important but building a fortress of righteousness in the place of the strongholds of iniquity is more important. This is a downloadable album of seven CDs. When we released the album “Ministering to Babies in the Womb” the whole idea was experimental and the tool kits were lean. Today, it is not merely a truth that has been validated, it is a movement that has taken on a life of its own and transformed tens of thousands of families around the world. 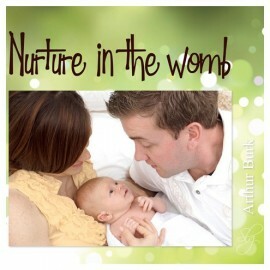 This teaching begins with preparation of the womb and the family long before conception and brings forward a plethora of resources for developing the spirit of your child in the womb. While this is specifically presented for young parents, many of the paradigms in this teaching relate to life as a whole, and anyone who is proficient at using principles can easily enrich their own life, with or without children of any age, with these tools. Doing deliverance on your family line is great. Building fortresses of righteousness in place of the strongholds is better. Imagine conceiving a child AFTER there are fortresses!